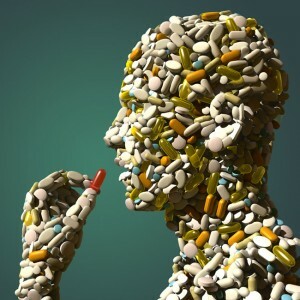 An Ounce…uh, I mean a PILL….of Prevention is Worth a Pound of Money to 1 Pharmaceutical Company. A friend sent me this article which details the new way that AstraZeneca, with the approval of the FDA, is helping Americans avoid heart attacks….to encourage Americans to start taking Crestor for prevention. Crestor is a statin drug that, up until now, was prescribed for those with high cholesterol, not those that might be at risk. Crestor has potential side effects that include headache, muscle aches, joint pain, nausea, constipation, and abdominal pain, not to mention that pesky risk for liver damage. I can just see the billboards and commercials now….for only $3.50 a day, you can reduce your risk for heart attacks without treadmills or vegetables. That works out to $105 per month, or $1260 per year. And, this medication will be intended to be taken for years, which is definitely good for AstraZeneca. I suppose this is also good news for insurance companies, a once daily pill is much cheaper than a 5-day hospital stay for a heart attack along with the bypass graft or stent placement surgery that will likely follow. I don’t fault AstraZeneca, or the insurance companies, for this; some may even applaud their efforts. They are in the business of making money just like food companies, fast food giants, soda retailers, and the producers of the latest diet gimmick. Really? This is where we have turned? We have resorted to popping a pill every day to prevent heart attacks? I guess there are pills to prevent pregnancy, but that is a little different. I can’t really get the same results with eating vegetables and getting more exercise. And, babies aren’t anything like heart attacks, very close, but I suppose even that’s debatable. I was under the impression that preventing heart attacks had something to do with regular exercise, eating a variety of fruits, vegetables and whole grains, and balancing stress? But, that certainly is a lot more work than popping a pill. News like this leaves me feeling very defeated as a professional and in what I aim to promote to people. Will we ever learn that the consumption of whole foods, exercise, and stress reduction are what keep us healthy? The food and pharmaceutical companies certainly don’t want you to believe this, and today, I feel like they’re winning. Eve 2-AstraZeneca 1000. Scores updated weekly.